This social media thing just gets too serious sometimes with terms such as ROI’s, engagement, connection, sharing, caring, Twitter etiquette, Facebook privacy and all those lofty and philosophical descriptions that reduce social media to a science. We have case studies, research and reports on why we should have social media policies before we tweet or update. Should we use social media at work or should we take a mobile call in a restaurant? Should I tweet before I blog or should I blog then tweet? Recently a post I published outlined the results of a report from Eventbrite showing that a Facebook share was worth 6 times more in dollars than a Twitter Tweet for its business. Comments on my blog indicate that there are a lot of fans who love Twitter and others who are passionate about Facebook. Twitter is adding 1.8 million users a week and with that adoption rate and a current user base of 165 million, the 1 billion number is a long way off and with Facebook already with over 500 million users it looks like Facebook is in the box seat. This poll has nothing to do with serious research this is a fun poll!! …and the fun police just have to be locked up while we throw away the key. Ok… social media maniacs and addicts out there, time to cast your vote. 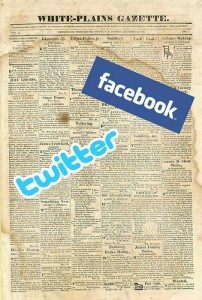 Will Twitter reach 1 billion users before Facebook? 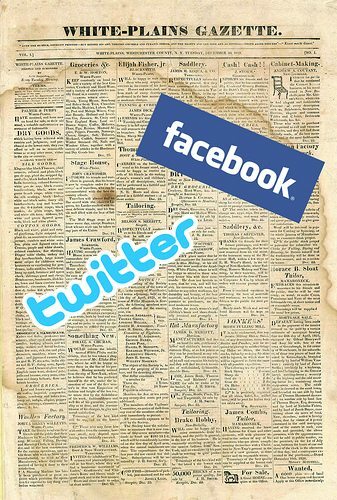 Facebook or Twitter? It is very simple… let the battle begin.